Q: I bought a Toshiba computer and unknown to me found that it is running a 64-bit version of Windows Vista. I have tried a number of “Air Cards” for Internet access from Sprint and none will work with a 64-bit system. Someone told me that Windows Vista is both 32 bit and 64 bit. 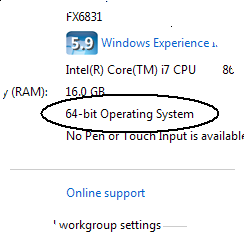 How do I turn off the 64 bit and turn on the 32 bit? A: If only it was that simple. First, a bit of background. For years, Windows ran in 32-bit mode, meaning it could access up to 4 GB of memory. And that was plenty of memory for most PCs. But as PCs and programs grew more powerful, 4 GB seemed downright skimpy. Changing with the times, Microsoft began offering Windows in two flavors, 32-bit to run on PCs with normal amounts of memory, and 64-bit for the more powerful (and expensive) PCs that came with more than 4 GB of memory. Your 64-bit version of Windows can run almost all 32-bit or 64-bit programs, so there’s little problem there. Unfortunately, a 64-bit version of Windows needs 64-bit drivers — the tiny bits of software that work as translators between Windows and your PC’s parts. As you’ve discovered, 64-bit drivers are still rather rare. Since none of Sprint’s Air Cards cards have worked on your PC, those drivers were most likely 32-bit, not the requisite 64-bit. Tell Sprint’s customer support person that you need an Air Card that’s compatible with the 64-bit version of Windows Vista. If you’re lucky, they can find you a compatible card. Switch to a different carrier that carries cards with 64-bit drivers. If those fail, you need to buy and install a 32-bit version of Windows Vista, a process that wipes your hard drive clean. (Be sure to back up your files.) Then you’ll be able to install Sprint’s Air Cards without problem. Unfortunately, the 32-bit version of Windows can only access 4 GB of memory, whereas the 64-bit version can access a lot more. For people who require lots of memory, 64-bit is a must. But if you don’t mind limiting yourself to 4 GB of memory — which is plenty for most Windows Vista programs — a reinstall might be your ticket to a working Air Card. 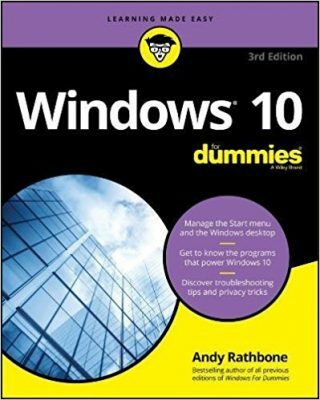 Tip: Not sure which version of Windows you’re using? Click the Start button, right-click Computer or My Computer, and choose Properties. Look in the System section for either 32-bit Operating System or 64-bit Operating System. Microsoft’s support site lists more information about 32-bit and 64-bit versions of Windows. Posted: August 24th, 2009 under Hardware, Windows 7, Windows Vista.